aprilshowersmayflower | Telling stories, sharing thoughts. For this assignment I took a look at a clip from an oldie but goodie, Bruce Almighty. I am huge Steve Carell fan, so this was the perfect clip for me to analyze. I took a look at this clip from three different vantages to fully appreciate the various elements of the film. The first element I looked at was the visual. I noticed that the clip starts out from the inside of a room that the main character, Bruce, was looking into. The camera then cuts to see the same room from Bruce’s view on the other side of the glass. This idea of parallel views is then revisited in the next part of the scene which starts out with Bruce watching Evan the anchorman on the TVs in the production room, to then watching him live in the studio. The scene seems to focus on individual characters at a time jump cutting to the funny facial expressions of Bruce, Evan, and the news producer. The director then uses the “from below” angle I mentioned learning about in a previous post, to show the character of Bruce doing something devious, although it’s hard to tell what he’s up to without the context of the sound. The camera angles then move back to the individuals jump cutting to multiple characters clearly indicating that something is not usual about this news broadcast. When the camera moves to show the news teleprompter, we can then realize that the text is not usual of a news broadcast and that Evan the anchor is reading some pretty silly and incriminating stuff to the world. The camera moves back and forth from the anchor to the production crew indicating showing the anchor trying to remain calm and the crew frantically trying to figure out what is going wrong. The camera then goes back and forth between Bruce and Evan demonstrating that what Bruce is doing is manipulating Evan somehow as Evan, seemingly uncontrollably, replicates Bruce’s actions. The clip concludes with this understanding as Evan’s co-anchor looks on with confusion and then cuts to Bruce laughing in the back. The next thing I looked at was the audio track. The clip opens with standard news intro music and the announcer introducing the news casters. We then hear the news music soften as the co-anchors introduce themselves and Evan uses his catch phrase “Here’s what’s making news.” He begins a normal news story when he suddenly makes a strange sound, then clears his throat. He can’t seem to lose the strange voice and noise as his co-anchor offers him a glass of water. Evan recovers and his voice is back to normal, although the text he’s reciting is not a normal news story. The scene then cuts to the production team confused about what was being said. The production team is instructed to check the prompter and we hear some light sound affects as buttons are click and equipment is moved. As Evan continues to read strange stories, we hear overlayed a chuckle from someone else. We then hear the rustling of paper as Evan apologies for the technical difficulties, but we are soon met then with the sounds of flatulence as Evan continues to apologize. The remainder of the clip is Evan speaking loudly but incoherently and ends with a small snippet of the news music used in the intro. This clip is a great example of how video and audio work together. Without the audio, it’s not clear what exactly is wrong with the broadcast as we can’t hear the bizarre sounds or text from Evan. Without the video, we may not gather that Evan’s character is being manipulated by Bruce, because we can’t hear Bruce or know what he’s doing in the scene. The panic in the voices of the production crew combine with the jump cut editing, creates a sense of nervousness as the audience waits to see how everyone will respond. Another thing I think the audio and video combined help emphasize was the comedic element of the scene. The main actors in this scene are both very expressive and outlandish, but without the audio, there is a lack of story to their expressiveness. On the other hand, without the video we lose most of what the clip is about in that we can’t see that Evan is being manipulated. It’s clear that these elements must work together to create the story for this clip, but in thinking back to the audio stories of the age of radio such as Little Orphan Annie, or the silent films of the 1920s, both methods worked very effectively without the other element. Perhaps it’s not that both are necessary, but rather both are tools in storytelling. Building the story is principle, which tools are used in support of the story are left to the designer/director to decide. 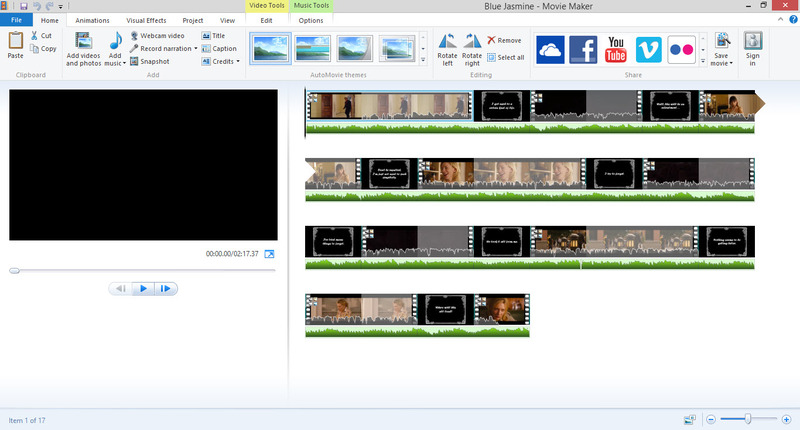 This week I learned how to “read” movies and got some insight on editing movies from a movie-maker’s perspective. It all started with a quote from Roger Ebert’s article “How to Read a Movie.” Although sitting through a movie shot-by-shot sounds extremely tedious, I think that the overall observations Ebert makes can be found in most shots of a movie and are true whether or not we even notice them. What was also interesting was that many of the techniques he speaks of ring true of photography as well such as the rule of thirds, and the dominance positions. Ebert states that “A POV above a character’s eyeline reduces him; below the eyeline, enhances him.” This related to another video I watched around editing and Tarantino’s tendency to shoot from below. Most of the clips used are from the perspective of a victim and include laughing, guns being pointed to the camera, the camera angle being from the inside of a truck, etc. This seemed to emphasize Ebert’s point as I noticed that the POV from below gives the actors power over the audience. The second video I watched was on editing techniques. As I plan on having video editing as a major piece of my final project, this video was particularly useful. I think I will narrow down a couple of these techniques, especially the jump cut (because my story is from three perspectives), tempo/rhythm (as I will be adding songs and music) and thawed/freeze frames as I include pictures. I had worked on these assignments here and there throughout the past couple of weeks, particularly in the brainstorming phase, but did not have any idea of how much time it would take to make my ideas reality. A lesson learned is that I will try to borrow a Mac for my final assignment. I think there are too many limitations in Movie Marker, such as not being able to have two layers of audio, as well as several design restrictions. I plan on revisiting my blog posts for Week’s 6 and 7 this week and building out the content and adding in all references to media I used, but I did want to post my final products tonight. Rough finale to the week, but looking forward to my final project! For the Why So Serious assignment I decided to mash up two of my favorite Rachael McAdams movies, The Notebook and Mean Girls. I thought this juxtaposition would be interesting because Rachael plays such different characters in these two movies. Her mothers are also very different as one tries to be like her daughter, while the other tries to tell her daughter what to do. Can you tell which is which? The toughest part of this assignment was finding two scenes that would work together. Once I did some research on Youtube and found the two I liked, I downloaded the videos using savefrom.net and a Google extension called Backtick that allows downloading into MP3s. I edited in Movie Maker by trimming the audio and video clips to points where they would match (Getting Regina’s like to match Ali’s head turn was a personal win!) and saved the video to an MP4. Here is a screenshot of the edit. Here is my new take on Charlie’s story! When watching the final clip, once I was able to get the audio to line up, it reminded me of a dance. I decided to base my new take on the story as if Charlie and the Lion were competitive dancers on Dancing with the Stars. I used a clip from the show for the intro and and a piece of audio from another clip for the conclusion and saved them using savefrom.net and a google chrome extension called Backtick. 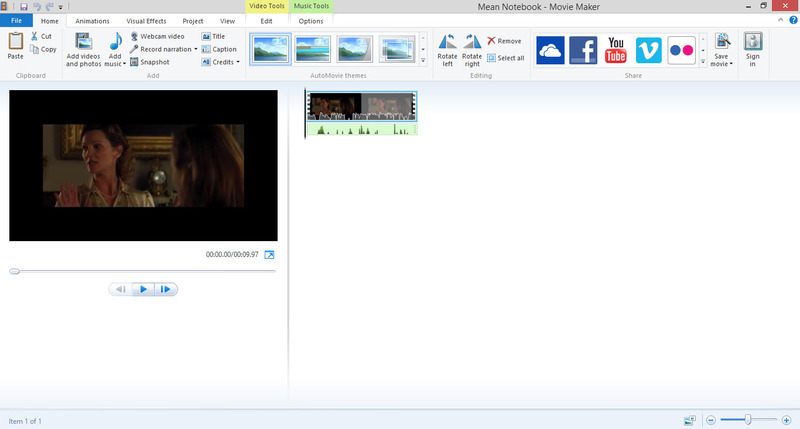 I edited the video in Microsoft Movie Maker and compiled the audio in Audacity. Here is a screenshot of the video editing. 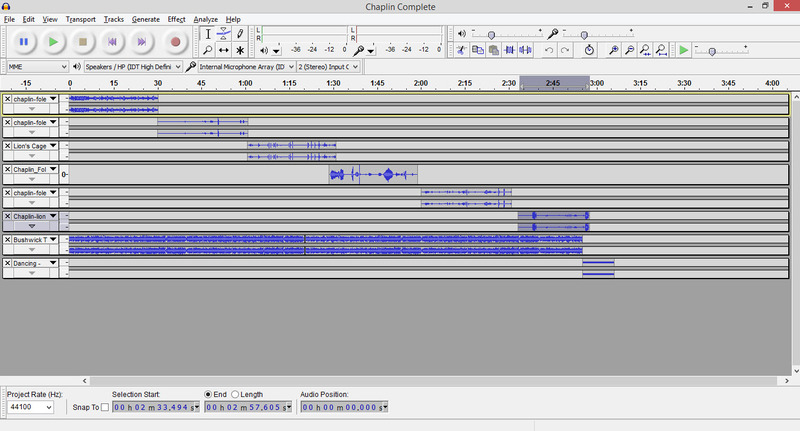 I also decided to show you my Audacity edits as this is where I pieced together the various Foley clips. I ended up using clips from Dr. Levine, Mariana Fumes, lhampson23, cbedross1, cwyrough, and Kaitlyn Crotty. I then added the music soundtrack (Bushwick Tarantella), and the soundbyte at the end from the show. 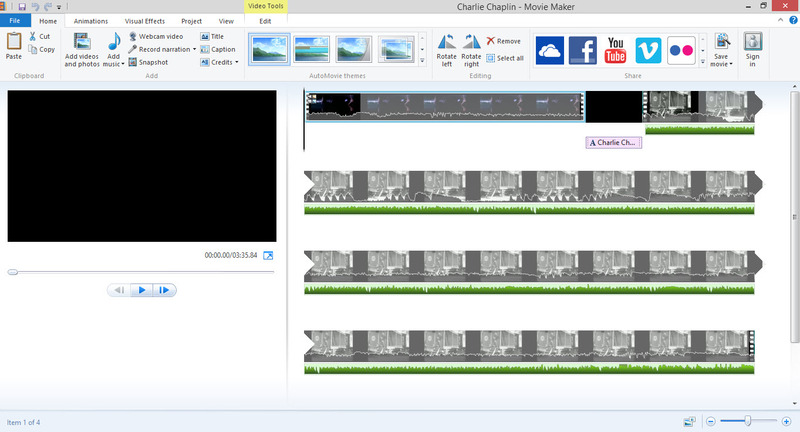 and I had to do all of the sound editing in Audacity because Movie Maker limits the user to only being able to layer one audio sound over a video, and it took a while to line everything up. 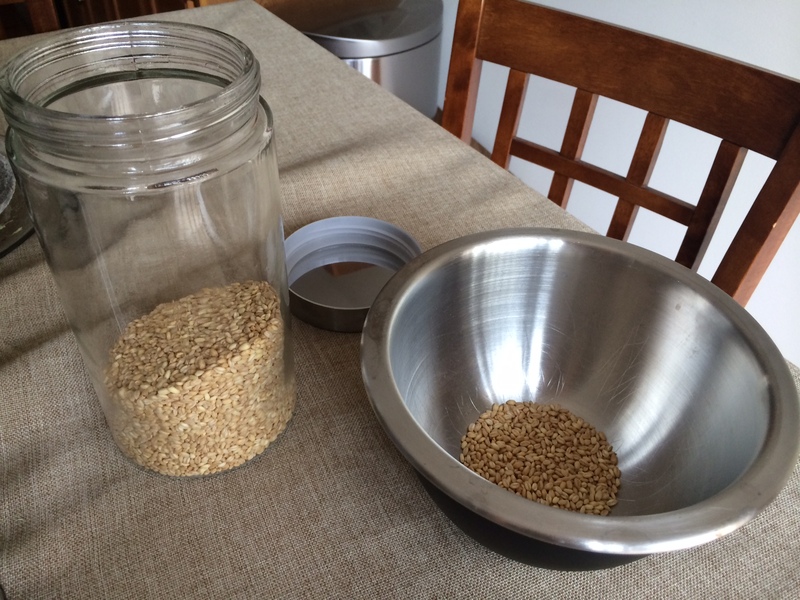 It was much more difficult than I originally anticipated, but I am happy with the result! Lions, and Wizards, and Sounds, O My! It was a beautiful week in DC which ended with a beautiful Easter weekend. In completing this week’s assignments, I began by revisiting my SoundCloud account that I had previously only used to listen to other people’s audio posts. I read a quote from Victor Hugo that a friend had shared earlier this week. I then had some fun channeling an almost daily occurrence using Audacity to layer sounds and create a story. This week I also put my husband to work to help me adding sound effects to a Charlie Chaplin classic using the Foley technique. Finally, I built out an earlier storified idea I had by starting to think of the shape of the story, and how I could incorporate the techniques we’ve been using into the final project. It’s really encouraging to read my classmates posts and to know that they are having the same struggles as I am having in completing assignments. I think that they, like I, are learning with every post. The great thing about blogging is that we can learn from each other and pick up good ideas. For example, I didn’t realize that individual pictures assigned to SoundCloud files will appear when the file is embedding to WordPress. Overall I am really enjoying the assignments. These are great techniques and tools that I can use in many aspects of life. I’m looking forward to spending more time on my final project. Back in March, I wrote a post about a potential final project idea I had on a video about recent baptisms at my church. The baptisms happened back in early April. It was a beautiful day, and we were able to capture the whole thing on camera, but the recording was just one thirty minute block of the service itself. After talking to the new members, I don’t think that the recording captures the journey that these individuals took along the way. In building out this idea, I think I’d like to capture the whole story of these new members. I could interview them all with the same set of questions (similar to the One Question assignment) to intertwine video and audio of the answers with the recording of the baptism service. I am thinking of other ways I can build this out to tell a story across the recording of the service. Since basketball has infiltrated our house once more this spring in the realm of the NBA playoffs, I decided to dedicate my second audio assignment of the week to the Washington Wizards who, though by a thread, are a part of the playoffs this year. I interviewed Randy Wittman about the Wizards’ chances in the playoffs and his plans once the season is over. I gathered some intelligence from this Washington Post article to prepare for the interview. I recorded this directly into SoundCloud and uploaded the file to embed into this blog. I compiled the songs from Youtube clips. I cued up the part of the songs I wanted to use and had them ready to go as I recorded. There is a bit of a delay as I was moving between screens, so I might perhaps have printed out the questions so I wouldn’t have to go back and forth. Here is a list of the questions and songs I chose. Q. The Wizards are playing the Chicago Bulls tomorrow at 7pm. Are you excited for this match up? Q. How do you think Nene will address Joakim Noah’s powerful moves? A. We’ve not yet lost all our graces. Q. How would you describe the Chicago Bulls? Q. What is your biggest motivation in winning this match up? A. All I’m asking, is for a little respect. Q. Do you think the Wizards can make it all the way? A. You may say I’m a dreamer. Q. What are your plans for after the playoffs? A. Everybody knows, a little place called Kokomo. This assignment was a great way to work on pulling audio together. These songs really have no connection to each other, but as part of a story really work quite well together! This assignment was to add a soundtrack to a 30 second clip of the Charlie Chaplin film The Circus using the Foley technique. Since I was born in April, my segment was 01:31-01:30. I wasn’t sure if I’d be able to incorporate all of these sound elements, so I walked through it a couple times in my head to see which made sense. I then gathered my sound creation elements and experimented with how the sounds interacted and practiced switching between them quickly. My husband thought I was going crazy for a second, and walked over to see what was going on. I took that as an opportunity to get him involved as my Foley partner. Now that you’ve heard the track, I can give away my secrets. This is my makeshift Foley studio. Let’s walk through the sound elements once more. I recorded the sounds directly into SoundCloud and then embedded the sound clip into this blog. I was surprised at how simple the sounds were to create without fancy equipment or a “studio,” although I did realize why this is usually a multiple person job, it’s hard to move that quickly between sounds!